This tutorial explain how to update the Suite using the "Import Settings" feature of the "Suite Manager", to import application configurations, bookmarks, personal documents, "MyApps", "MyFiles" and all other settings from an old Suite release to the new one. Firstly, close all portable software and the main Suite launcher to have a correct setting migration. Follow the wizard to extract the new Suite and to automatically translate it in your language. 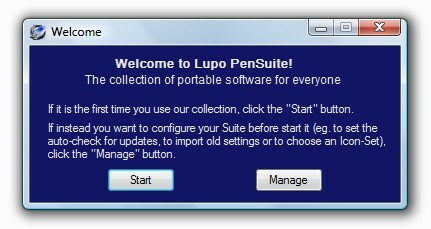 Start the new Suite release and select "Manage" button in the welcome message. 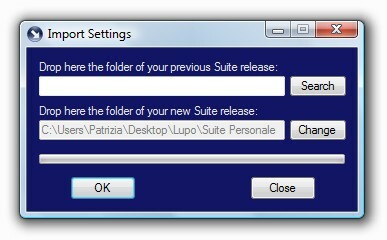 Now select the "Import Settings" feature from the "Suite Manager" menu is opened. Drag & drop the main folder of your previous Suite release on the first inbox, click "OK", choose what components import and click "Import". 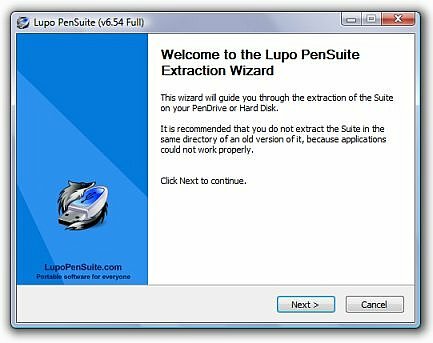 This tool will import all your customizations from the old release and allow you to use new Suite apps keeping previous settings!